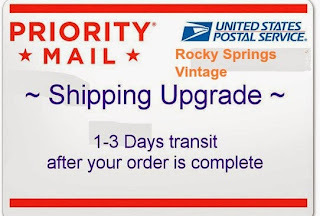 When you plan to buy on Rocky Springs Vintage or Rocky Springs and Son on Etsy, let me know and I will add a free shipping upgrade valued at $3.50. 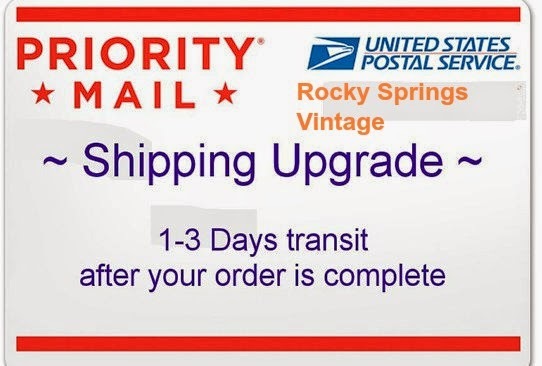 You will have your package not seven-nine days but three days from the day of purchase. Send me a convo and I will add your shipping upgrade for free. Happy shopping.